"They came from the best of families. And they committed the worst of crimes." This exciting spy thriller taken from a true story details the espionage practices of two young Californians who had merged off into very different lifestyles, only to be brought together through selling classified government documents to the Soviets. Set in the 1970’s, Christopher Boyce gained his nickname Falcon from his interest and expertise in falcon training. While working for RTX, a civil defense contractor, Boyce becomes cynical of his government's dealings and hatches a plan to leak U.S. security secrets to Russia. Daulton Lee, dubbed the Snowman because of his cocaine smuggling operations, sets up a deal with the KGB in Mexico to aid Boyce with his plot. But because of his drug addiction, Lee is mistrusted and the plan begins to fall apart as they both realize they are in way over their heads. 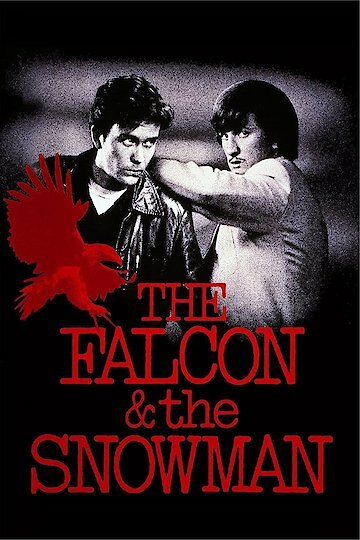 The Falcon and the Snowman is currently available to watch and stream, download, buy on demand at Amazon Prime, Hulu, Vudu, iTunes online.